How Can I Go Afton Mountain Bed & Breakfast? 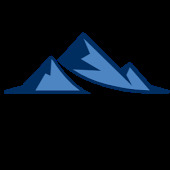 Where is Afton Mountain Bed & Breakfast in Afton on the Map? We had a lovely stay. We had children at music festivals in the area and needed a "base of operations." This B & B was convenient both to the Wintergreen Resort and to several local "attractions" -- hiking on the Appalachian Trail, trips into Staunton for Shakespeare, music, and food; trip to Charlottesville and Monticello; and some local wineries, breweries, and even a distillery. Breakfast was delicious and filling and a nice surprise every morning. It was sweet to come home to homemade cookies and have sodas/coffee/water available at all times. Enjoyed reading in the evenings on the back porch & playing games in the living area. All in all it was a wonderful visit. What a wonderful place to call home while traveling. Dan & Orquida are as nice as can be and very welcoming. They make sure you feel right at home. The bed was comfy, the breakfast was great and the homemade cookies were a treat everyday. We had the opportunity to "relax" by the pool for a bit while we were there, it was nice and refreshing! We will definitely be back. 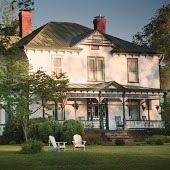 My wife and I stayed here after a drive up from NC and a tour of Monticello and found this place to be a great place to stay. It was our second Bed and Breakfast experience and they made it a great experience. We stayed in the Jefferson room which made our trip that much more fun. The room was very clean and the landscape beautiful. To top it off was the tremendous breakfast. We will definitely return but longer next time. My husband and I stayed at Afton Mountain B&B while we were in the area for a wedding. We had a wonderful experience! Orquida and Dan were so kind and did whatever they could to make our stay enjoyable. We purchased the brewery tour package, and they made every step of that perfectly care-free and fun. Breakfasts were delicious. We had a great time talking to the other guests while we were eating. The house is very well taken care of and beautifully decorated. Our bed was huge and comfortable and the room was a good temperature. We would definitely choose to stay at Afton B&B again! My husband and I stayed at Afton Mountain Bed & Breakfast recently and thoroughly enjoyed it. I haven't stayed at a B&B in the US and I was pleasantly surprised how gracious our hosts were and made our stay comfortable. Afternoon homemade cookies and early morning coffee was appreciated! They answered my many questions about the area and the home was historic but had many modern amenities. Highly recommend!